The ASUS Transformer Pad 300 is getting closer to bringing its watered-down Prime flavor to store shelves, as PC World reports a spokesperson confirmed it will begin shipping April 22nd. 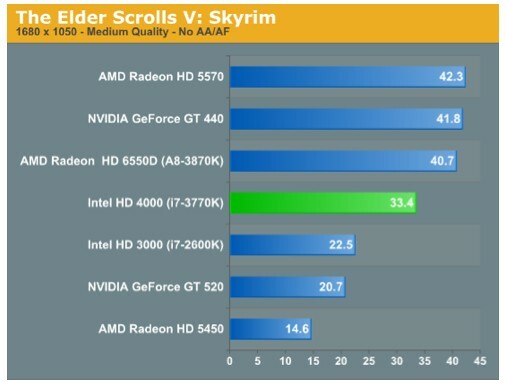 What they could not confirm was the price, although there are preorders out there for $399 already. In case you've forgotten, the 300 brings the same Tegra 3 processor as the Prime, but matches it with a standard IPS display, optional LTE and only 16GB of built-in storage, as well as 10 hours of battery life. We'll let you know when we hear more, but for now feel free to pencil in a note on your Earth Day calendar entries. ASUS reportedly to release Transformer Pad 300 on April 22nd originally appeared on Engadget on Fri, 13 Apr 2012 22:25:00 EDT. Please see our terms for use of feeds. We've already known that Republic Wireless was planning to reopen the beta program for its hybrid WiFi / cellular service this summer, and the company has now finally detailed exactly how that beta will take place. For starters, it'll only be open to those who have already signed up to the company's email list or tried to place an order when that option was available last November, but that's still not a guarantee to get in. Starting next week, those folks will receive an email with details on how to take part in the company's online reservation system, after which you'll then have a week to claim a spot in one of the beta waves that will be rolling out over the course of the summer. Still no word on that new handset that was also promised for April, but you can find all the details on the beta program at the link below. Republic Wireless opening up reservation system next week in advance of summer beta program originally appeared on Engadget on Fri, 13 Apr 2012 23:04:00 EDT. Please see our terms for use of feeds. 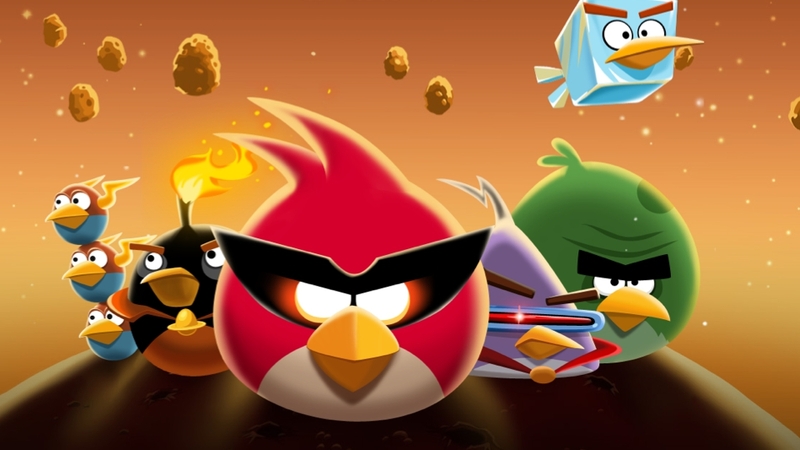 There's a fake Angry Birds Space app in the Android Market available on Android phones that infests your phone with malware. According to Sophos, a digital security firm, the malware hides its "payload" deep inside two .JPEG files. Once installed, it downloads additional malware to your phone, and enlists your phone as part of a botnet. From there, your phone can be used as muscle for any number of hacker ops. The easy way to avoid getting nailed by fake app malware is to always be sure to check the developer on any app you download. If you've already downloaded Angry Birds Space, take a second to make sure that you've got the right one, and if not, consider securely wiping your phone once you've backed up important data. Update: We originally posted that the fake app was available through the Android Market. That's incorrect. It is only available through third party stores, so if you go through official Android channels for your apps, you shouldn't have any problems. Somewhere along mike1986's development of Android Revolution HD, a custom ROM for the HTC One X, he found that something amiss with the smartphone's stock system -- its Tegra 3 power management software didn't function properly. According to the developer, an app known as NvCPLSvc.apk was misplaced in the /system/bin folder, rather than its proper destination of /system/app. Along with the custom ROM, mike1986 has released the fix as a separate bundle, which is detailed in the source below. To apply the patch, users must push the new APK to their handset via ADB, and then alter the file's permissions. Unless you're seriously hindered by your phone's battery life, however, it seems safe to wait for an official update from HTC. On the upside, users report an battery life increase in the neighborhood of 10 to 20 percent once with the fix in place, and we can only hope that all users will soon benefit from similar gains. HTC One X gets unofficial power management fix, boosts battery life 10 to 20 percent originally appeared on Engadget on Fri, 13 Apr 2012 17:19:00 EDT. Please see our terms for use of feeds. 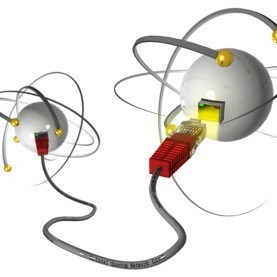 Plug-ins bogging down your web browsing? Then it looks like you could soon have another option to cut through the clutter right in Firefox. The latest nightly build of the browser includes a new feature that lets users turn off all plug-ins by default and then click on each to enable them (something that, we should note, can already be done through third-party add-ons). While that functionality is still in the early stages, Mozilla's Jared Wein says that they're now working on adding the ability to remember plug-in settings on a per-site basis, and hope to have the feature ready for the release version of Firefox 14 (currently due out in July). In the meantime, you can get an early look at the feature in the latest nightly build available at the source link below. Mozilla tests out opt-in system for plug-ins in latest Firefox nightly build originally appeared on Engadget on Fri, 13 Apr 2012 18:00:00 EDT. Please see our terms for use of feeds. While the Optimus LTE's already made its way to South Korea, Japan and the US (in the guise of the Spectrum and the Nitro HD), LG's decided to give this dual-core handset a new name ahead of its Hong Kong launch at the end of this month. Ladies and gentlemen, meet the Optimus True HD LTE. Alas, the "true HD" part here doesn't actually mean the phone's getting 1080p resolution on a 4.5-inch panel (which would be 490ppi; yet Toshiba's actually done it! ); but we were told that 'tis really just a dig at Samsung's HD Super AMOLED technology -- you know, the magic behind that 4.65-inch screen on the Galaxy Nexus and the Galaxy S II HD LTE. Simply put, LG doesn't think that 1,280 x 720 on PenTile counts as HD due to the lower number of sub-pixels; and while it's at it, the company also criticized AMOLED's over-expressed colors and higher power consumption in "normal user environment" -- for the latter, LG showed that its AH-IPS has a more consistent power consumption across varying levels of overall whiteness. You can see the relevant slides after the break. Of course, we've already expressed (twice) how much we like the HD Super AMOLED display on the Galaxy Nexus. The clearness issue now is much less noticeable when compared to the original Super AMOLED; but as for color accuracy, many of us are indeed deceived by the vibrancy that we naturally enjoy -- except when you need to inspect photos, of course. Regardless, we're pretty sure that it's only a matter of time before Samsung strikes back with a, ahem, "true HD" Super AMOLED (Plus) panel -- hopefully in time for the upcoming Galaxy S III. 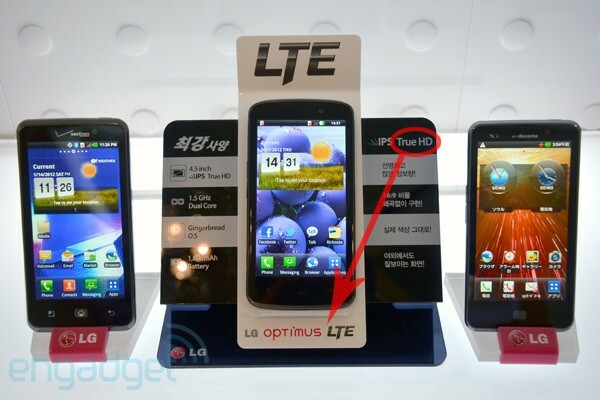 LG renames Optimus LTE to Optimus True HD LTE, disses Samsung's HD Super AMOLED originally appeared on Engadget on Fri, 13 Apr 2012 18:52:00 EDT. Please see our terms for use of feeds. Amazon certainly isn't the first to offer hosted search services for third parties, but its model might make it the simplest option. Businesses or devs looking to create custom search indexes need only to upload what they want to make searchable and Amazon takes care of the rest -- including deciding how much hardware to provision based on index size and traffic. Using the company's A9 search engine, CloudSearch can quickly whip up complex query tools, including support for Boolean functions. For more details check out the PR after the break. Amazon CloudSearch brings A9 to devs and businesses originally appeared on Engadget on Thu, 12 Apr 2012 13:01:00 EDT. Please see our terms for use of feeds. Just as promised when we first met the carrier's Viper 4G, Sprint's placing the device up for pre-order today. Notably, rumors of an eventual April 22nd release date can now rest comfortably, with The Now Network saying it'll do its best to get the Gingerbread handset on all early-adopting hands before Sunday. For being one of Sprint's initial LTE slabs, the Viper bears a flexible $99 price tag -- of course, that's with a two-year deal, a $50 mail-in rebate and an understanding that the carrier's LTE waves aren't even live yet. If you're not due an upgrade just yet, though, then you'll have to part ways with around $400. Sound good? Head over to the source below to give it a last gander before you decide to add it to your cart. 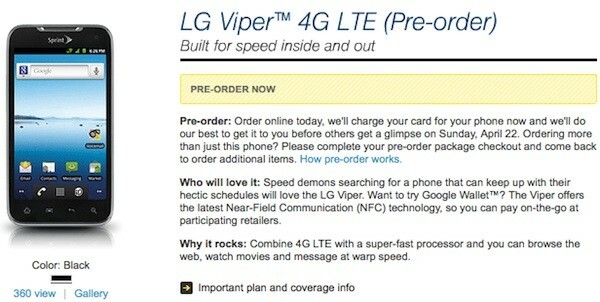 Sprint LG Viper 4G up for pre-order now, coming on April 22nd originally appeared on Engadget on Thu, 12 Apr 2012 14:05:00 EDT. Please see our terms for use of feeds. It always pleases us when interesting Kickstarter projects do well. Especially ones that fly as well as this. 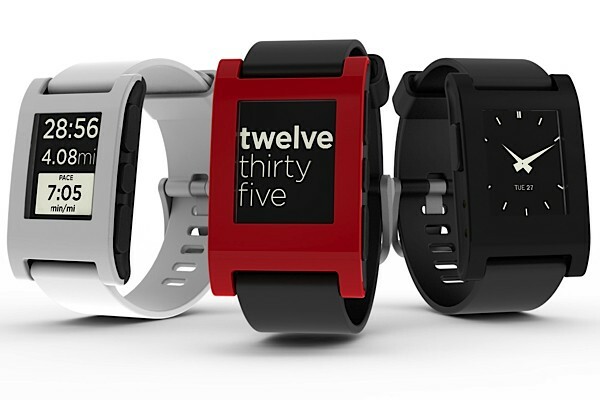 Just two hours after launching, the Pebble watch from Allerta landed $100,000 in pledges. Two. Hours. When you consider the phone-friendly e-paper timepiece was being offered at $115 a pop, that's a lot of individual supporters, and therefore pre-orders to fulfill. Of course, we like to think we played a small part in this story, but the credit ultimately has to lie with the product developers themselves, who clearly captured people's imaginations. And then some. At time of writing, the tally's run to well over $1 million with 36 days still to go. Pebble smartwatch raises $100,000 in two hours, retires on a beach originally appeared on Engadget on Thu, 12 Apr 2012 14:50:00 EDT. Please see our terms for use of feeds. We all know that most networks are, well, just not "quantumy" enough. Good news, then, that German boffins at the Max Planck Institute of Quantum Optics have created the first "universal quantum network." We've been hearing about plain old quantum computing since the first qubit was sent, but now we have to get our tiny minds around the idea of a quantum internet too. 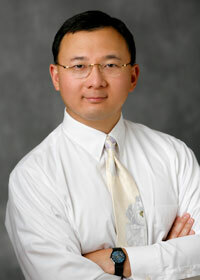 Data was sent using single rubidium atoms in reflective optical cavities and single photons emitted over optical fiber. Given that data was only successfully transmitted 0.2% of the time, and the network spanned just 21 meters, a complex LAN with multiple nodes is a way off just yet, but the proof of concept is there. If that concept is the early '90s internet that is. Scientists create the first universal quantum network, are scared to restart the router originally appeared on Engadget on Thu, 12 Apr 2012 18:12:00 EDT. Please see our terms for use of feeds. Okay, we have some excellent and some disappointing Skyrim tidbits to share. The good news being that bestseller The Elder Scrolls V is finally adding (real) support for Microsoft's Kinect, but unfortunately, it's coming exclusively to the Xbox console (sorry PC folks). That said, developer Bethesda says the update -- which is arriving later this month -- will bring more than 200 voice commands to the title, allowing things like Dragon Shouts, Follower Commands and Hotkey Equipping. In addition to busting out your best moves, you'll also be able to control menus within the game, as well as save and load your Skryim progress. While the full list of commands is set to be unveiled "in the coming weeks," there's a sneak preview waiting on you right now just past the break. 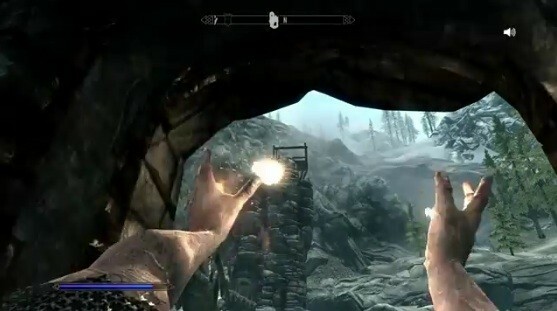 Skyrim gets Kinect integration on Xbox, over 200 voice commands in tow (video) originally appeared on Engadget on Thu, 12 Apr 2012 19:03:00 EDT. Please see our terms for use of feeds. See that SSD up there? For a moment, you might've thought it'd make the next great addition to your desktop rig -- and yeah, extra storage without any wires is a really cool idea -- but don't fool yourselves, because the Intel SSD 910 family of PCI-Express storage devices were built with enterprise in mind. Based on the company's 25nm MLC NAND flash technology, these devices will emphasize both speed and reliability, and will hit the market in both 400GB and 800GB configurations. Intel's own reports suggest the 800GB model will be the quicker of the two, which is said to offer sequential performance of 2,000MB/s read and 1,000MB/s write. Both the 400GB ($1,929) and 800GB ($3,859) models will be available mid-year. We've included the PR after the break, but those who'd like to get a bit more in-depth should hit up the links below. Intel announces PCI-Express 910 SSD lineup for enterprise customers originally appeared on Engadget on Thu, 12 Apr 2012 19:47:00 EDT. Please see our terms for use of feeds. Zotac and its XBOXes -- just when you think your next dorm room PC couldn't get any smaller... it does. The latest in the stable is the long-winded Nano XS AD11 Plus, a hysterically titled small form factor PC equipped with a dual-core 1.6GHz AMD E-450 APU, Radeon HD 6320 GPU, 2GB of DDR3 memory and an HDMI output. There's also a 64GB mSATA SSD, a pair of USB 3.0 sockets (as well as a couple of the USB 2.0 variety), a gigabit Ethernet jack and a bundled MCE-compatible remote. In a smattering of reviews that also cropped up alongside the box's launch, we've learned that the E-450 moderately bests the prior E-350 rigs and soars past similarly equipped Atom-based machines; the mSATA SSD is perhaps the biggest upgrade, however, easily helping the system as a whole feel far faster than those with mechanical hard drives. Hot Hardware was pleased with the overall showing, though they did note that the include USB WiFi adapter gave 'em headaches when trying to stream high-bitrate content from a NAS / home server. Worth the $359? Hit those More Coverage links to help you decide. 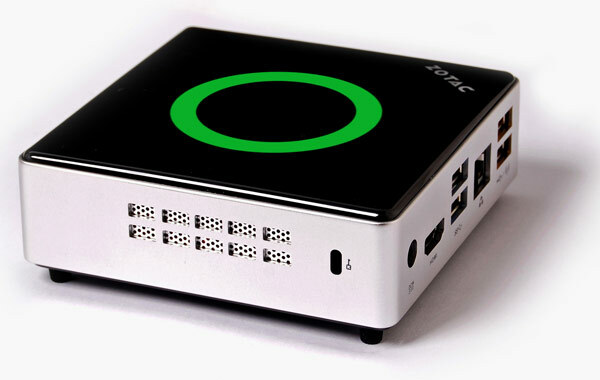 Zotac ZBOX Nano XS AD11 Plus mini PC launches with E-450 APU, gets reviewed originally appeared on Engadget on Fri, 13 Apr 2012 03:42:00 EDT. Please see our terms for use of feeds. You've heard of Fusion-io, right? It produces super-SSDs with the teeth-whitening ioMemory that's so fast it can manage a billion input and output operations every second. Now it's bundling that gear into a workstation PCIe card for FX professionals and speed-conscious multi millionaires. Capable of delivering 1.5GB/s (we checked, GB/s) of bandwidth, it's capable of previewing 3D movie effects on the fly. The gear's even managed to cover itself in Academy awards after it was used by studio Pixomondo on the special effects for Martin Scorsese's "Hugo." A 420GB model will arrive in late Spring, setting you (or more likely, your departmental budget) back $2,495 with an inclusive one-year support contract. Fusion-io announces ioFX, a super-SSD that's already garnered an Oscar originally appeared on Engadget on Thu, 12 Apr 2012 08:30:00 EDT. Please see our terms for use of feeds. I've seen you talk about running Windows on a Mac by dual booting, as well as dual booting Windows 8 alongside Windows 7. But you've also talked about how to run Windows 8 in a virtual machine. 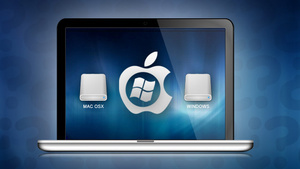 If I want to run a second operating system, which is better? Dual booting or virtualizing? It's not quite a matter of which is "best", but—as is often the case—which is better for your particular needs. Both have pros and cons, but are better suited to specific situations. Here's a quick primer on what each does well, and when you'd be better off using it. 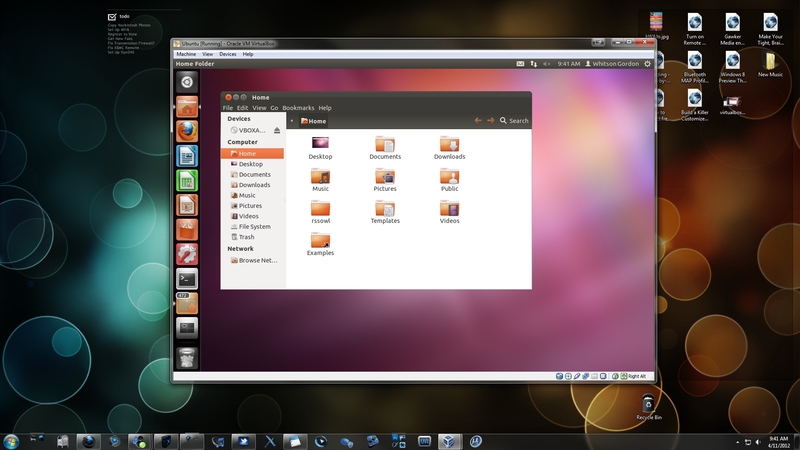 Dual booting, which involves separating your drive into two sections called partitions, essentially lets you run two operating systems on one computer completely separate from one another. When you turn on your computer, you select which OS to boot into, and you boot into it as if it was the only operating system on the machine. Often you can see your files and data from the other OS, but that OS won't be running—you're running the current OS completely natively on whatever hardware you have. As such, you're getting the most out of your hardware by dual booting, since neither OS will slow down the other in any way. This is great if you're playing games, since you need all the power you can get, as well as extended work in a given program or OS. If you're editing video, for example, and have to do so on Windows, you're better off dual booting. You'll get the best performance, and you won't miss much since you'll be pretty focused on your work. The only big downside of dual booting is that you have to restart your computer completely each time you want to switch operating systems, and you can't run them both at once if you want programs from each running together. 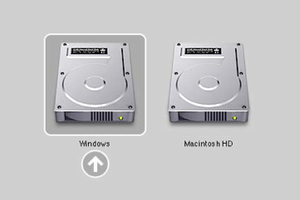 It also becomes a bit harder to share files between each OS, though you can fix that problem with a few simple drivers. Virtualization involves running a program like Virtualbox or Parallels to create an installation of your second OS on a virtual drive. There's no partitioning or drive formatting involved; instead, that installation is stored in a file on your current hard drive, and you can boot up that OS in its own window atop your normal desktop. This way, you can use both operating systems at the same time without rebooting, and do things like share your clipboard contents between each OS. Virtualization is perfect for those times you need to run one or two resource-light Windows programs in tandem with all your Mac programs, or want to test out a new OS (like the Windows 8 Consumer Preview, or a new distribution of Linux). You don't have to go through the complicated process of partitioning your drive, or deal with rebooting your computer. Lots of virtualization programs, including the ones mentioned above, have "seamless modes" that let you run your virtualized programs on top of your current desktop, without having to deal with a second desktop window taking up space. The big downside of virtualization is that it's quite a bit slower than dual booting. Because you're sharing your computer's resources between two operating systems at once, neither can take full advantage of your computer's hardware—making this a bad choice for gaming or other resource-intensive tasks. In addition, if your computer isn't blessed with awesome hardware, you might find that even playing around with a second OS can feel pretty sluggish. If you have a nice desktop with lots of RAM, though (I'm talking like 8-12 GB), the experience will probably be more than adequate, if not great. Many people will tell you that dual booting is better than virtualization, or vice versa, but a lot of it comes down to personal preference. Before I got a powerful enough computer, I rarely if ever virtualized—just because I couldn't stand the slowness. A lot of people hate rebooting more than anything though, so they're willing to put up with a little lag rather than wait a few minutes to boot everything up from scratch. In the end, it comes down to what you're doing, what kind of computer you have, and your own pet peeves with each. P.S. If you have a particularly sweet dual-OS setup that you use—or additional pros and cons that we didn't mention for either method—share them with us in the comments below. Intel's new laptop chips should start hitting shelves soon, packing those new 2500 and 4000 HD graphics chips in a package manufactured using Chipzilla's new 22nm process. And we're not talking about just one or two either. The CPU giant reiterated that 75 Ultrabook-branded machines are planned by various manufacturers for 2012, including "many touch-enabled systems." Which we take to mean some of those convertible tablets we saw at CES may actually see the light of day. If you're in the mood for a bit of corporate fluff check out the PR after the break. Intel says 75 Ultrabooks in the pipeline with 3rd-gen HD 2500 and 4000 GPUs originally appeared on Engadget on Wed, 11 Apr 2012 19:44:00 EDT. Please see our terms for use of feeds. Sammy's gone ahead and priced the latest in its Galaxy Tab and Player series, affixing monetary stickers to not only the 7-inch slate we just took for a spin, but to its 10-inch brother and a pair of handheld cousins. 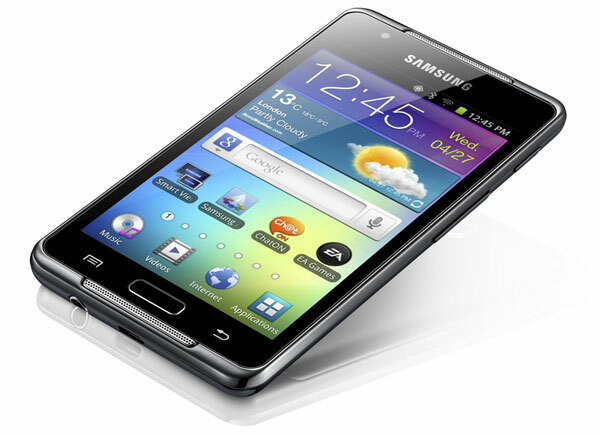 $250 nabs you the aforementioned Galaxy Tab 2 7.0, but an extra $150 will afford you the Tab 2 10.1's three-inch advantage. Of course, if you'd rather keep that 7-inch beauty and pocket a spare device, that same $150 will buy a Galaxy Player 3.6. If that's too small, Sammy will let you pick up a 4.2 variant for $200 square. Care to read that straight? Mosey on past the break for Samsung's official press release. Samsung prices Galaxy Tab 2 10.1 at $400, rings up a fresh pair of Galaxy Players for $150, $200 originally appeared on Engadget on Wed, 11 Apr 2012 20:17:00 EDT. Please see our terms for use of feeds. Ask any gardener, once you let ivy grow, it gets everywhere. Even though Intel just planted a fresh family of Sandy Bridge-based server CPUs, reports of a new line of Xeon E3 chips sporting the firm's next generation architecture are sprouting up. The new Ivy Bridge server chips use the firm's 3D Tri-Gate transistors to improve performance without using more power. For micro servers looking for an even smaller power footprint, Intel is introducing an Atom-based system on a chip, dubbed Centerton. These new 64-bit chips will feature two Atom processor cores and consume only six watts of electricity. Intel hasn't said yet just where these new processors are going to end up, but mentioned that it had a few customers on board. Intel plans to roll out Ivy Bridge based Xeon E3s, low-power Atom chips for micro servers originally appeared on Engadget on Thu, 12 Apr 2012 05:27:00 EDT. Please see our terms for use of feeds. Literary geeks rejoice! Wolfram Alpha has given you the tools to examine the works of William Shakespeare in ways you've never cared to imagined. Ever wondered how many words are in the second act of Othello? Or what the longest word is in A Midsummer Night's Dream? The answers to such (largely unasked) queries are now mere keystrokes away, and not just for the Bard's writings, either. That's right, folks, computational analysis of the works from such luminaries as Melville, Dickens, and Twain are on tap, too. The folks at Wolfram Alpha are also looking to increase the number of supported titles, so head on down to the source link and let them know which ones you want to see. 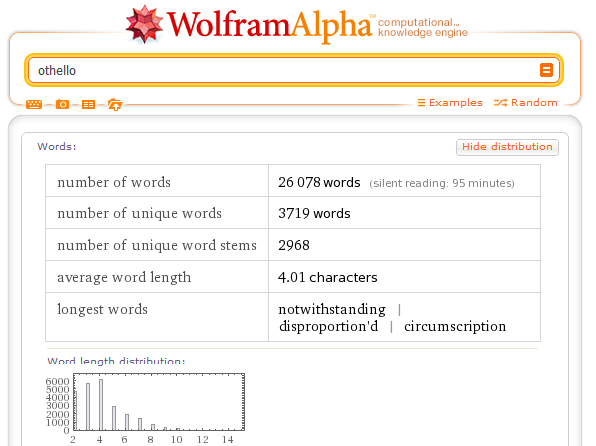 Wolfram Alpha now does literary analysis, breaks down the Bard's work originally appeared on Engadget on Wed, 11 Apr 2012 00:33:00 EDT. Please see our terms for use of feeds. Western Digital is whipping the sheets clear from a new, 7mm tall 2.5-inch mobile HDD that'll sit nicely inside your Ultrabook or other skinny device. The single-platter Scorpio Blue comes in 320 and 500GB varieties and will even sit nearly in 9.5mm slots (just, you know, bring along some blu-tack to pad the void around the drive bay). The units boast of super-low power management, quiet operation (with WD's WhisperDrive tech) and capable of taking a shock of 400Gs. It's available from today via selected retailers, the 320GB edition costing $80 and the 500GB version $100. Just be careful not to look at it side-on, after all, it's so thin you may not find it again. Western Digital ships 7mm HDD for Ultrabooks, losing down pavement cracks originally appeared on Engadget on Wed, 11 Apr 2012 14:49:00 EDT. Please see our terms for use of feeds.